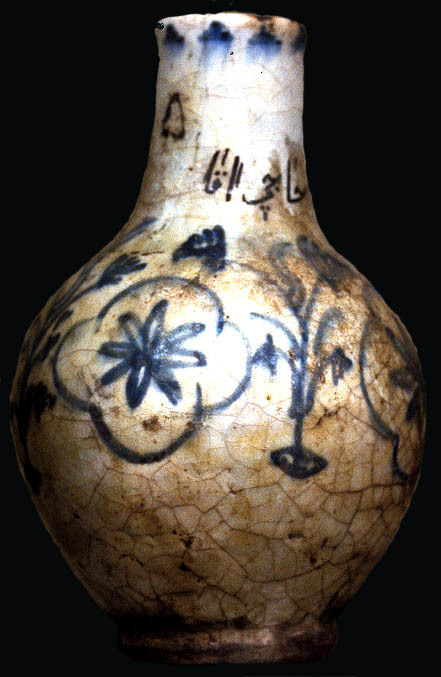 Glazed bottle inscribed "Hajja Aja"; 13th c.
Abbasid style bow, 9th to 10th century from Mesopotamia catalog c.405-1940. 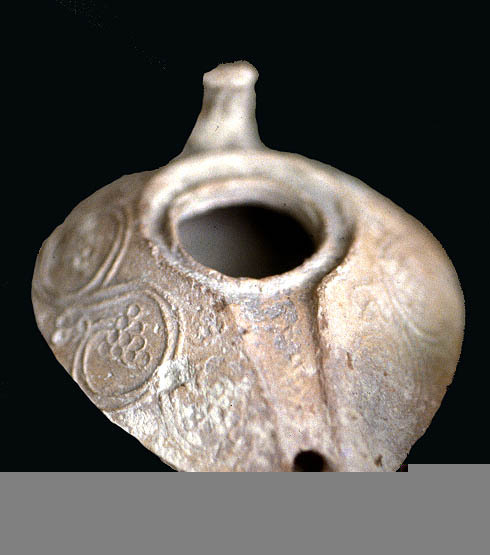 10 to 11th c. glazed oil lamp from Fustat, Egypt. 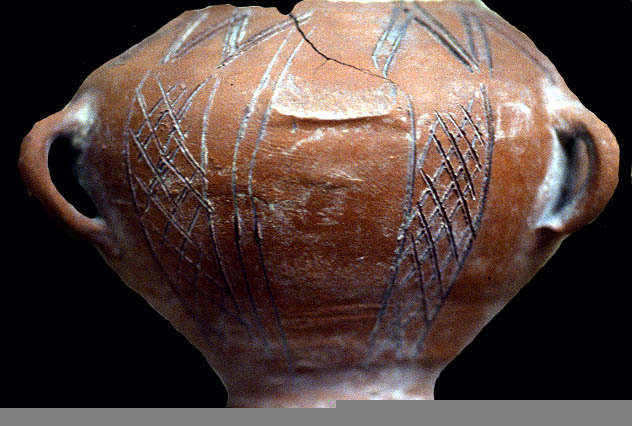 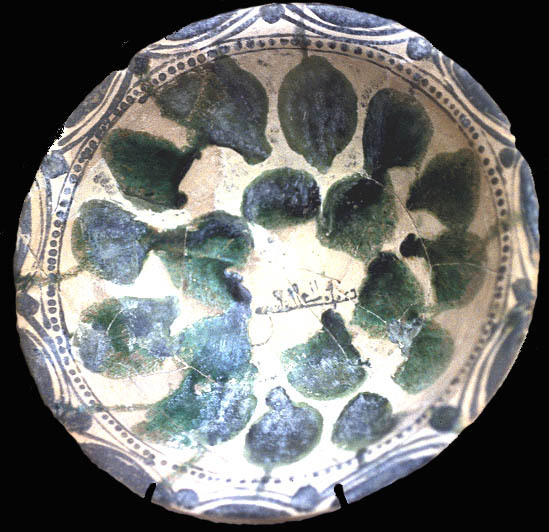 Light Green Ware with molded design from Mesopotamia 12-13th c. C.168-1939. 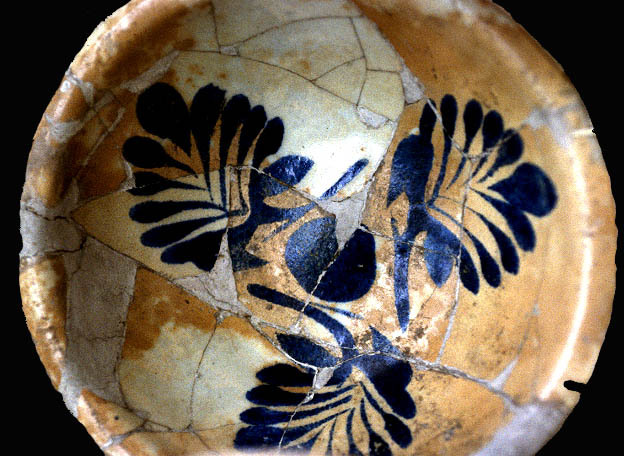 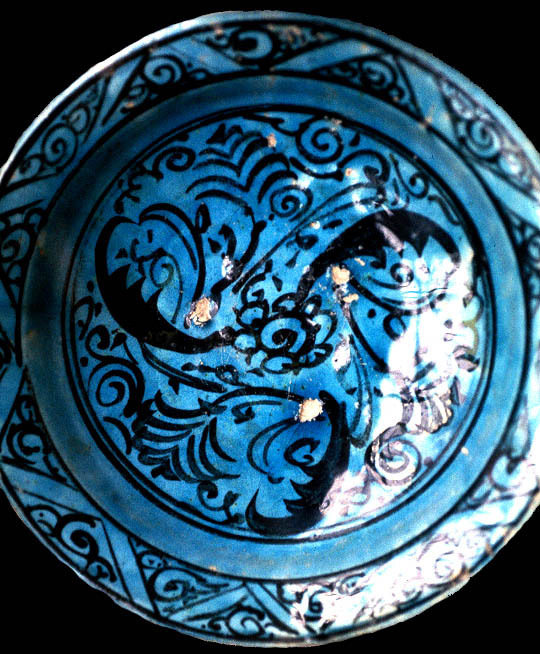 Syrian Blue-black underglaze, 15th c.
Casual Ware decorated jar typical of the Ilkanid Period (14th century) donated by Sir Leonard Wooley. 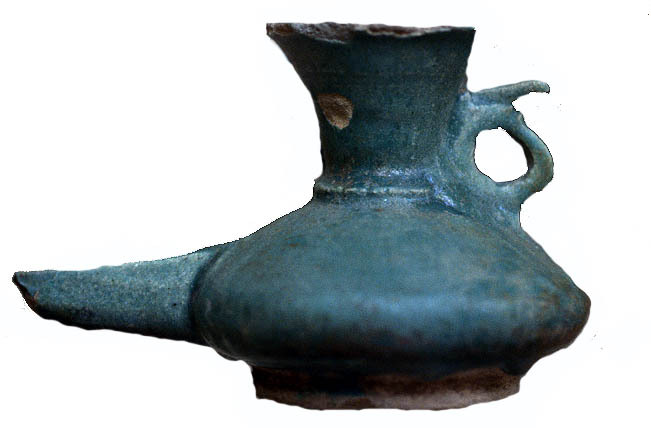 From al-Mina near Antioch. 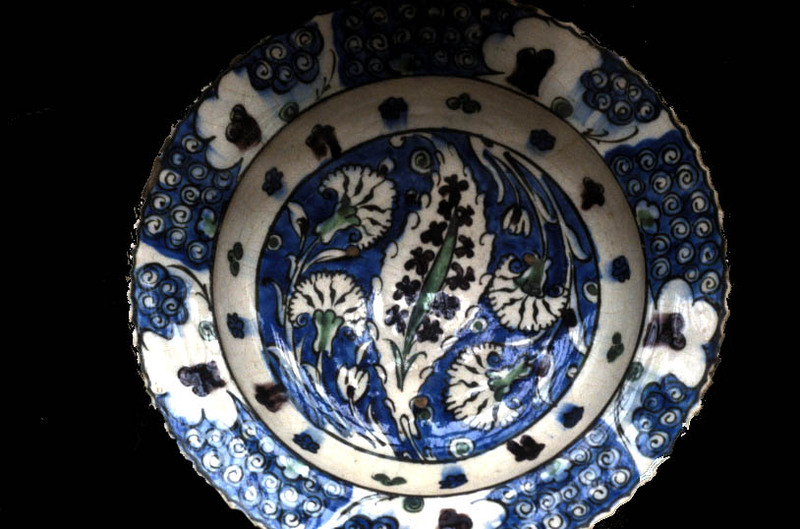 Abbasid style bowl with calligraphic inscription and pear-like plotches of glaze. 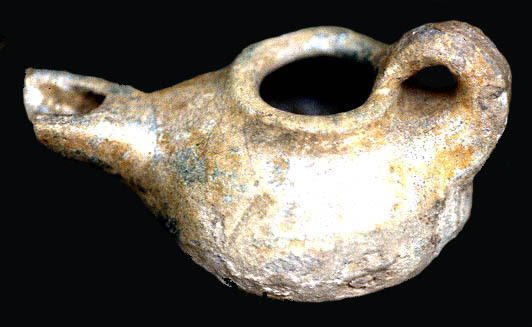 9th to 10th century. 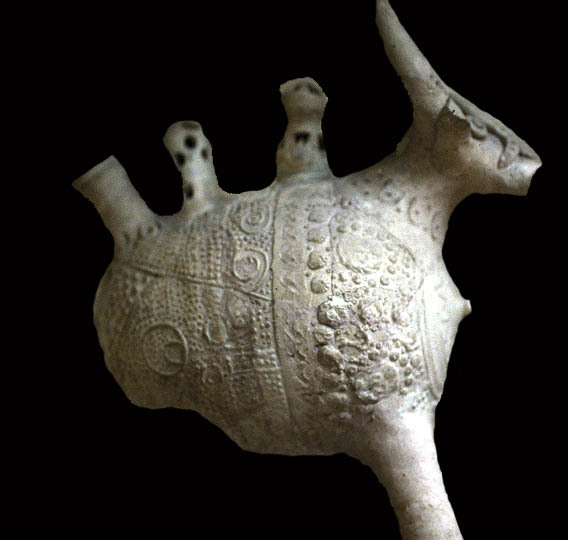 Mesopotamia c. 268-1919. 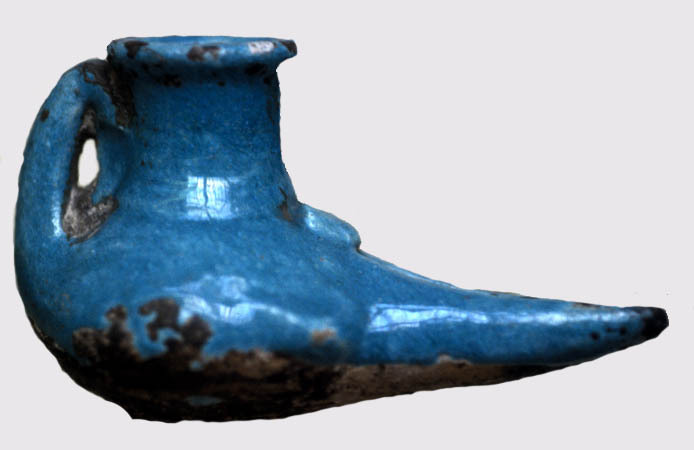 Fatamid Lamp from Fustat, Egypt 10-11th c.